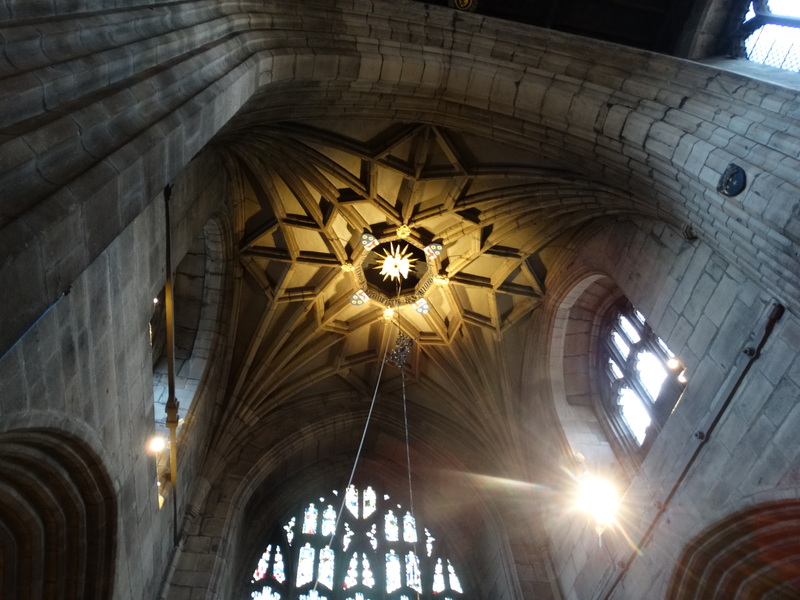 Having spent so many years in a Cathedral I expected to come and enjoy Newcastle Cathedral when I moved north. I went a couple of times, and that was about it. No one’s fault, just life. In recent months they have vastly improved their website and you can now download their music list here. On the evening of Thursday 4 September 2014 we had a dinner in the Hall and a talk from the Dean. 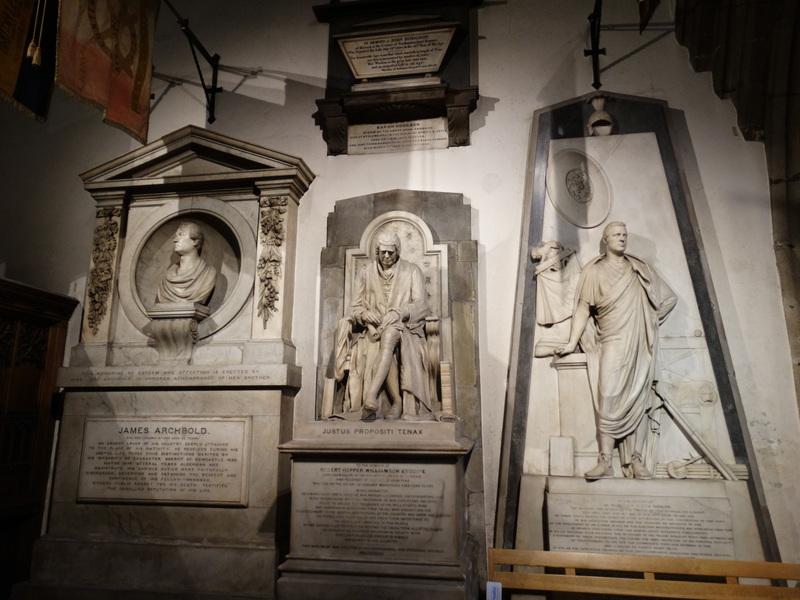 The talk was in two parts – before dinner while looking round the Cathedral, afterwards in the hall. 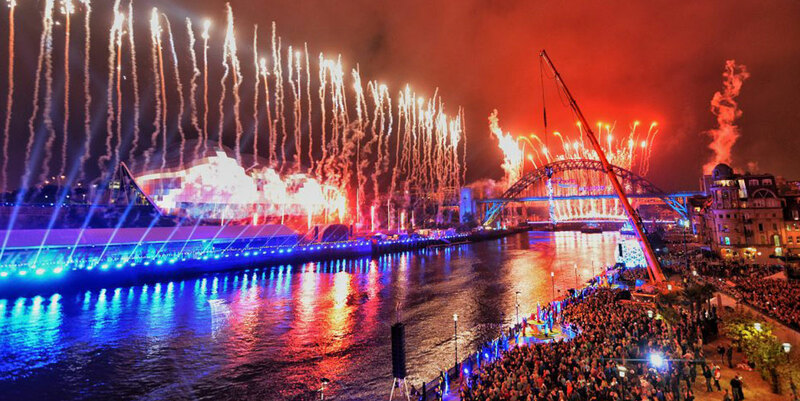 It was the same evening as the launch event for the Great North Run – no disrespect Mr Dean, but couldn’t we have gone onto the Cathedral roof to watch the fireworks? This photo comes from their website – I can’t find the photographer’s details so I hope he/she doesn’t mind. I arrived at the Cathedral as the sun was shining, and the shadows lengthening. I need to have a proper wander round this part of town with my camera and a decent guidebook. I remember climbing the castle as a child – I was persuaded to go to the top because of the stunning view of the railway. The image below is from what the website says is “Valentine’s collection” but it doesn’t give a date. The unit on the left is one of the Tyneside Electrics. However, I haven’t been into the Castle in the last six years. Building of the castle was started by Robert, William the Conqueror’s eldest son, in 1080, and the first church was built on the site of St Nicholas. 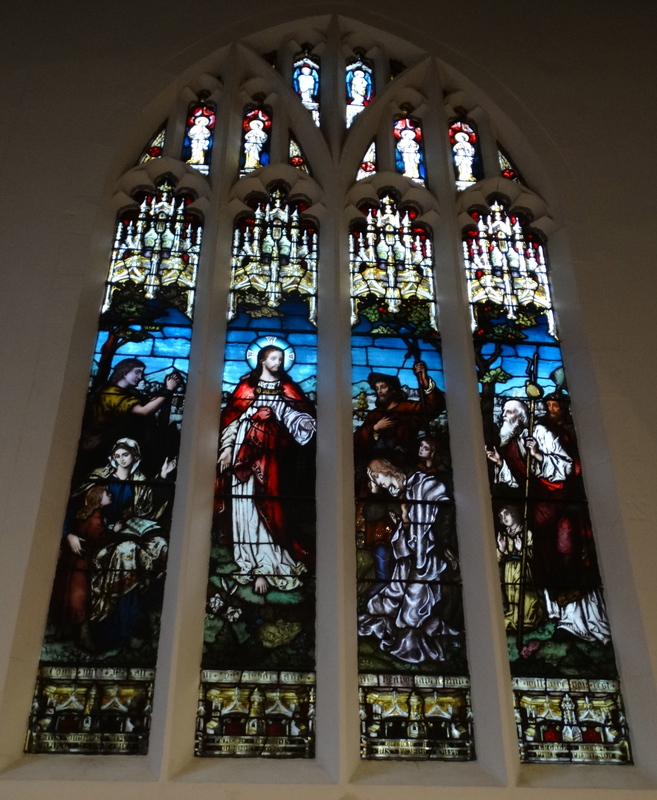 It was rebuilt in stone in the C12, and the first reference to St Nicholas is in 1194. The walls were heightened in the C14 and the stone crown and tower were added in the C15. 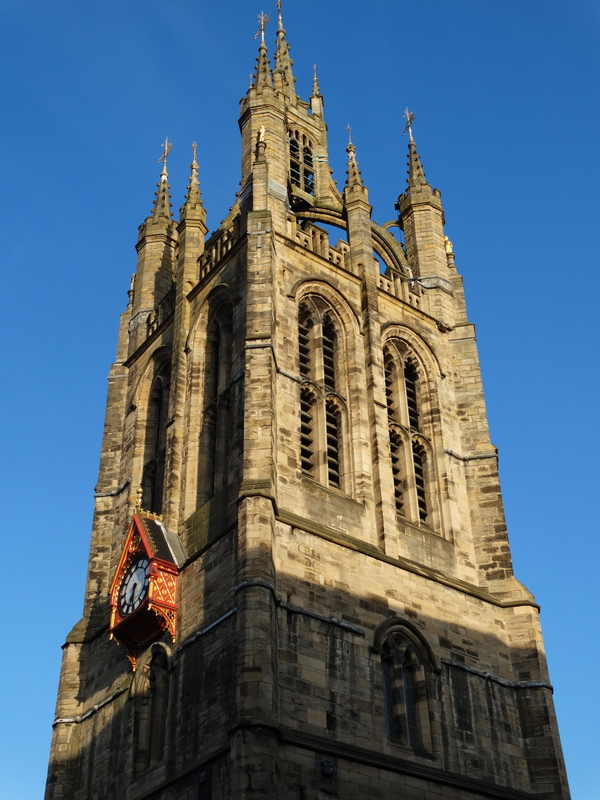 In 1553 they attempted to make a Diocese of Newcastle out of Durham, but Queen Mary on her accession reversed the legislation – it was 1882 before the Diocese of Newcastle was created. (I wonder how much longer before we do a ‘West Yorkshire and the Dales’ amalgamation up here). 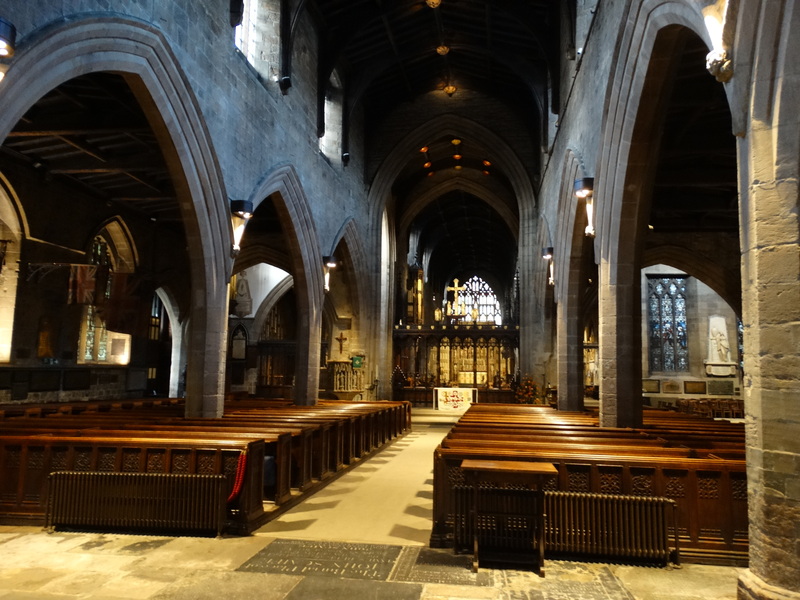 The Cathedral website says “Following the creation of the Diocese of Newcastle, the interior, and particularly the chancel area, of what was now St Nicholas Cathedral was much altered under the supervision of the new Cathedral Architect Robert J Johnson, with skills in wood and stone carving provided by Ralph Hedley, Robert Beall and J S Westmacott. The whole presents a beautifully integrated appearance, displaying superb artistry and craftsmanship.” I’m not sure I would want to point out “a beautifully integrated appearance” when they how have a plan to move the pews, put in decent heating, a new floor, and work on all the ledger stones and other tombs. Having said that, if they do a job half as good as that at Wakefield, they will do well. 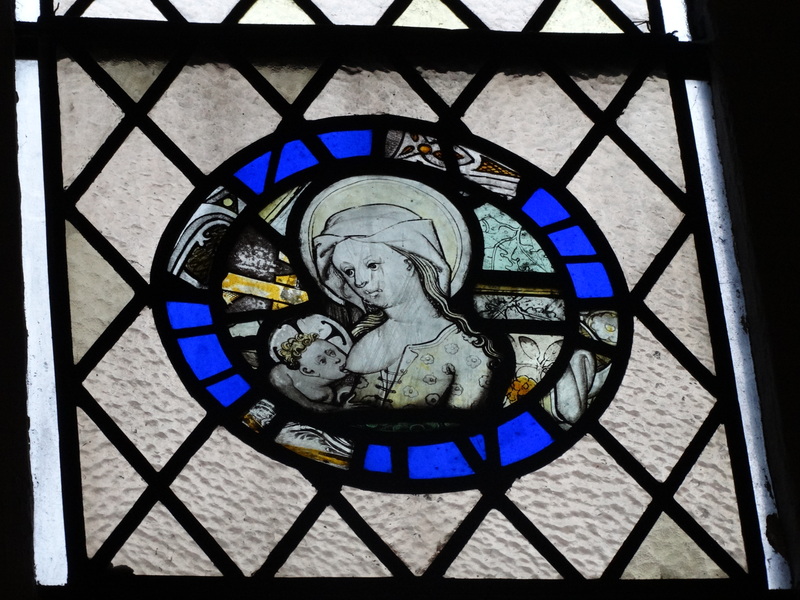 There’s some nice glass too – I must come back and have a proper wander round. I bought a guidebook which I have put down somewhere, I must find it and read it. I ought to come and worship too! I cannot mentioned the Great North Run without being the proud dad. Harry did it in 1 hour 56, Hannah and her friend Rosy in 2 hours 28. If you wish to sponsor them they would love it if you clicked here. 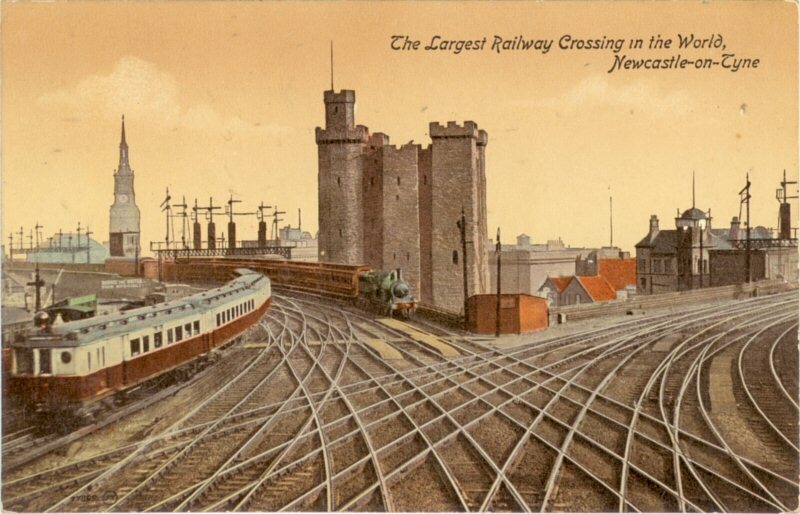 This entry was posted in Cathedral, Newcastle upon Tyne, Railway interest. Bookmark the permalink.